Daryl Hall & John Oates wrote some very fine pop tunes in the early Eighties, and this is one of them. 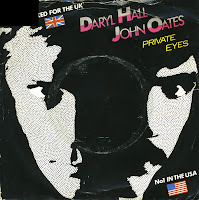 This single from their 1981 album 'Private eyes' was also released on a 12" single, which features an extended version of the track. This wasn't a standard practice back in those days, in fact I have a few 12" singles from 1981 which only feature the normal single version. The funky beat of this track has been misused by many hiphop "artists" through the years, and you can also hear it in Simply Red's 2003 hit 'Sunrise'. 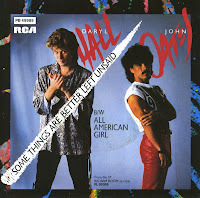 'Some things are better left unsaid' was the third single from Daryl Hall & John Oates' 1984 album 'Big bam boom'. Although the first two singles from the album were top 5 hits in the USA, this single couldn't match that level of success, peaking at number 18 instead. In Europe, the single did not chart at all. My copy of the single was made in Germany. It features a standard label with the text 'Ungeprüftes Muster' on it, meaning that this single was made for promotional purposes only. 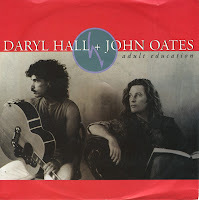 When Daryl Hall & John Oates released the compilation album 'Rock 'n Soul part 1' in 1984, 'Adult education' was a new track on that album, and released as a single to promote the compilation. Someone thought it would be a good idea to do the same in 1991, when the compilation 'Looking back' was released. Of course, this single flopped. Daryl Hall & John Oates had been away from the pop scene for three years when they released 'Everything your heart desires' in April 1988. It was the first single from their imaginatively titled 1988 album 'Ooh Yeah'. The single reached number 3 in the US Billboard Hot 100 chart and number 81 in he UK singles chart. 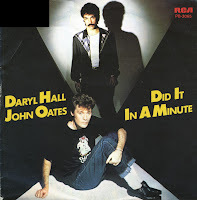 'Out of touch' was the lead single from Daryl Hall & John Oates' 1984 album 'Big Bam Boom'. It was their last Billboard Hot 100 number one, topping the Billboard Hot 100 for two weeks in December 1984. The single also reached number 33 in the Dutch Top 40 and number 48 in the UK singles chart. 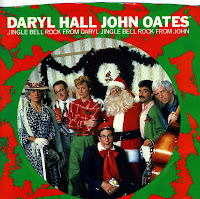 John Oates wrote the refrain, 'You're out of touch, I'm out of time but I'm out of my head when you're not around.' He and Hall collaborated on the music and the rest of the lyrics. Mike Oldfield recorded 'Family man' as a track on his 1982 album 'Five miles out'. He wrote all of the music for the chorus, and verses were written by the other writers: Tim Cross, Rick Fenn, Mike Frye, Morris Pert and Maggie Reilly. Tim Cross has also claimed to have written the majority of the lyrics for the song, and cited Rick Fenn as the inspiration of the 'family man' mentioned in the song. 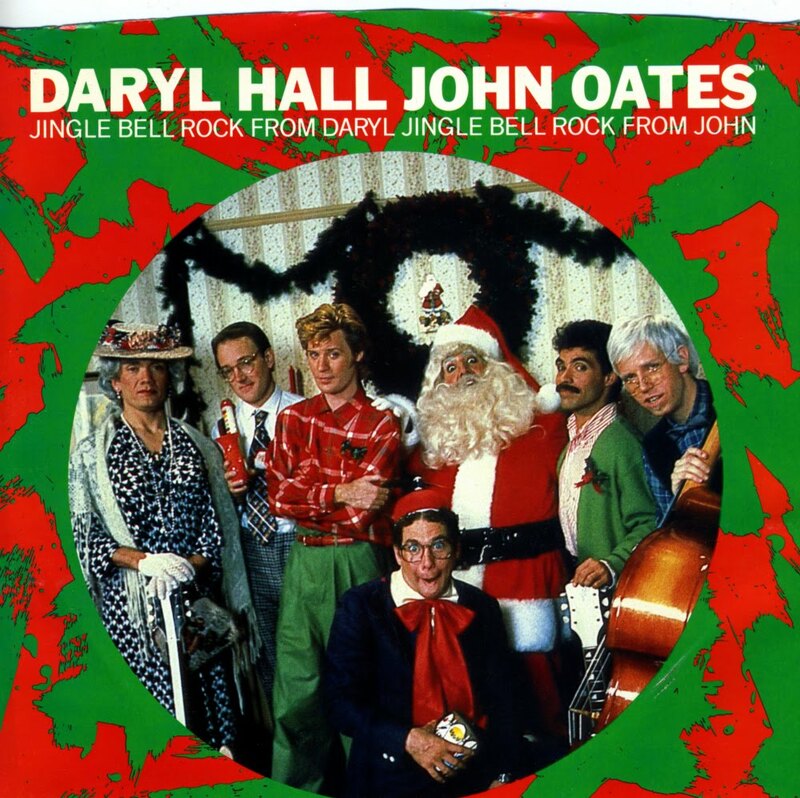 Daryl Hall & John Oates recorded their cover version a year later on their album 'H2O'. The single reached number 6 in the US Billboard Hot 100 chart and number 15 in the UK singles chart. 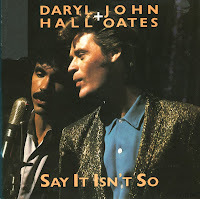 'Say it isn't so' was released as one of two new tracks on their greatest hits album 'Rock 'n' Soul part 1'. The song is about a love gone wrong and a fellow who asks his girl to "Say it isn't so". When it was released as a single, it reached number 2 in the US Billboard Hot 100 chart at the turn of the year 1983/1984. In the UK, it did considerably less well, peaking at number 69. In the Netherlands, where the single was played on the radio regularly, it didn't chart at all. 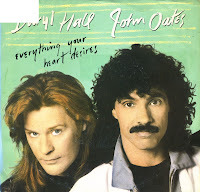 Daryl Hall and John Oates recorded two new tracks for their 1984 compilation album 'Rock 'n' Soul Part 1'. One of the two tracks was 'Adult education'. 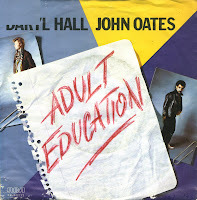 When 'Adult education' was released as a single, it had moderate success in most territories: it peaked at number 8 in the US Billboard Hot 100 chart and number 63 in the UK singles chart. However, in the Netherlands it was their biggest hit overall, peaking at number 4. The single carries a similar rhythm to the duo's number one hit from earlier that year, 'Kiss on my list', with the difference being a handclap chorus that has made the song an audience-participation favorite at live Hall and Oates shows. The single reached number 1 in the US Billboard Hot 100 chart and number 32 in the UK singles chart. 'Did it in a minute' is my bugspray single. I bought the single on the same day I was going on a holiday with my parents and my sister. I was only ten years old, of course, and we were leaving late one afternoon. When I came home with this single, my father had already sprayed my room, so I went up there and held my breath while I lay down the single on the desk in my room. I did it in a minute, by the way. Strange memories can last a lifetime. 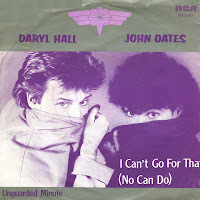 The single was not the biggest success for Hall and Oates. While it peaked at number 9 in the US Billboard Hot 100 chart, it went by unnoticed by the rest of the world. 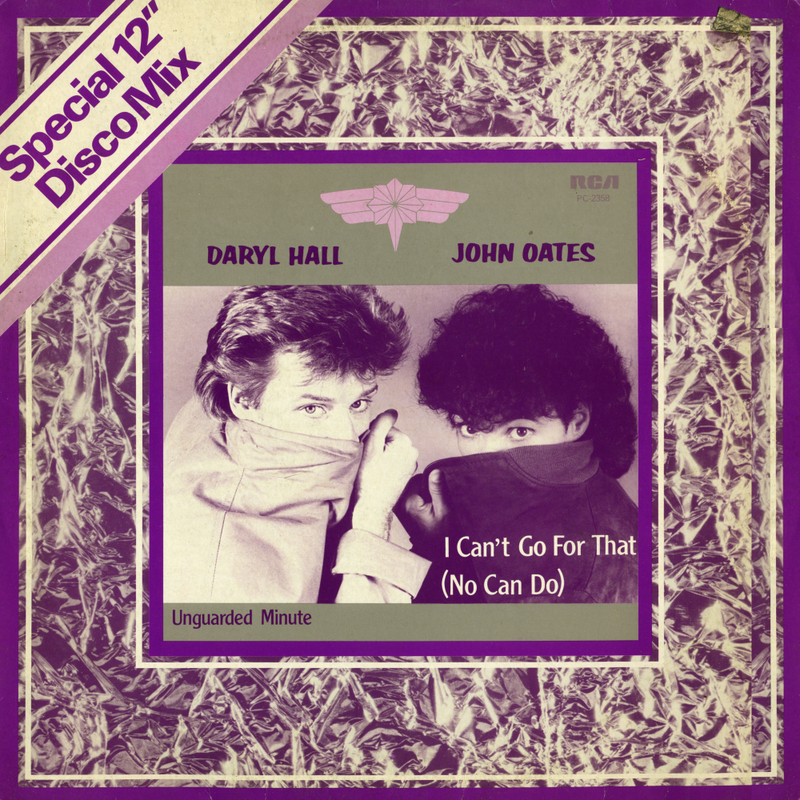 Daryl Hall sketched out the basics of 'I can't go for that' one evening at a music studio in New York City in 1981 after a recording session for the album 'Private eyes'. Hall played a bassline on a Korg organ, then came up with a guitar riff - both were recorded by sound engineer Neil Kernon. The duo Hall & Oates took it from there the next day. 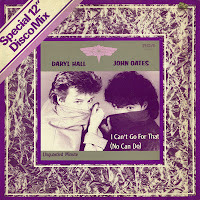 The single version of 'I can't go for that' is not an edit of the album verison, but an edit of the dance mix. It was released as a single in early 1982 and reached number 1 in the US Billboard Hot 100 chart, number 8 in the UK singles chart and number 16 in the Dutch Top 40. 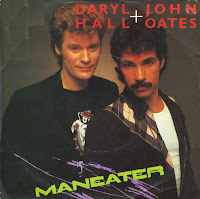 John Oates originally wrote 'Maneater' as a reggae-oriented song. On the insistance of Daryl Hall, the track was changed into a 'Motown kind of groove'. 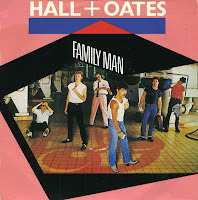 According to John Oates the inspiration for this song was English model and actress Kelly LeBrock. The track was included on their 1982 album 'H2O' and released as a single. 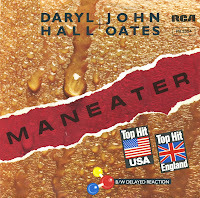 'Maneater' reached number 1 in the US Billboard Hot 100, number 6 in the UK singles chart and number 17 in the Dutch Top 40. 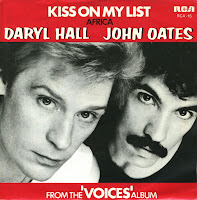 Daryl Hall and John Oates recorded 'Kiss on my list' in 1980 on their album 'Voices'. While two other songs from the album had returned the duo to chart activity, it was the success of 'Kiss on my list' that confirmed the start of the duo's sustained run as one of American pop's top-selling acts, a run that lasted until the end of the Eighties. In the USA, the single peaked at number 1, while in the UK, it reached number 33. According to Daryl Hall, Eddie Van Halen copied the synth part of this song and used it for the song 'Jump' by Van Halen.